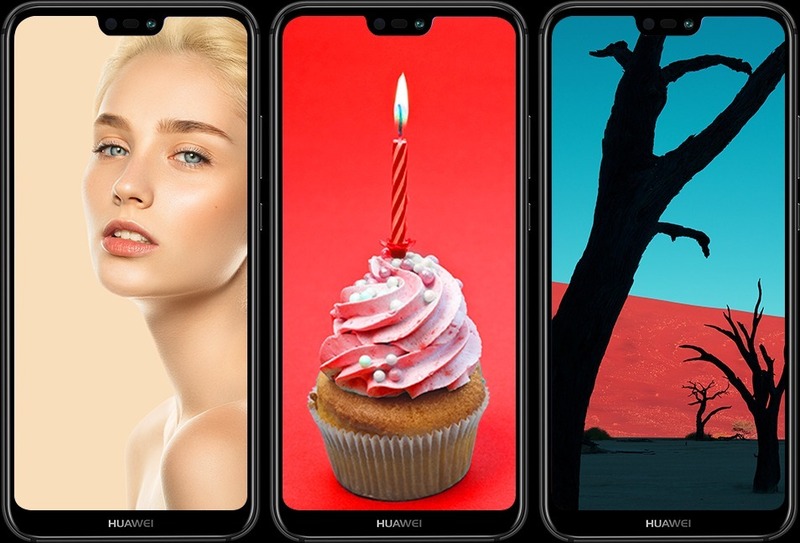 Last month, Huawei launched its three smartphones in the P20 series – Huawei P20, P20 Pro and the P20 Lite. 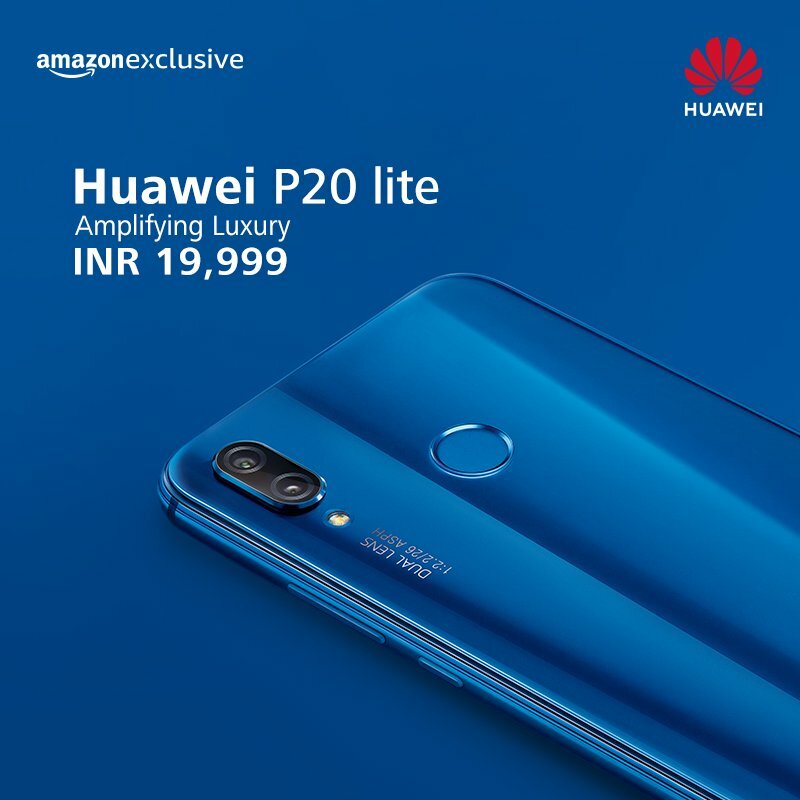 After a month of global announcement, the company launched Huawei P20 Pro and Huawei P20 Lite in India today. Both the phone will be available exclusively via Amazon India, and the pricing is pretty surprising. You might be already familiar with the fact that the P20 Pro is high-end flagship from the company that is the best camera smartphone as per the DxOMark score and features a beautiful design, big battery, powerful Kirin 970 processor and no to forget, a triple camera setup on the rear. Talking about the P20 Lite, it is a budget smartphone featuring the same edge to edge panel as the P20 Pro, Kirin 659 and dual cameras. The Huawei P20 Pro has a 6.1-inch AMOLED display with a Full-HD+ resolution (2240×1080). It is worth mentioning that the phone has a notch design, just like every other phone this year. There is an option in the settings to hide the notch by darkening the status bar. The Octa-Core Kirin 970 processor powers the phone which is still a very powerful and capable processor (though not as powerful as the Snapdragon 845!). Under the hood, there is 6GB RAM and 128GB internal storage. All this is backed by a huge 4,000mAh battery under the hood which is enough to last a full day of heavy usage. And there is the Huawei SuperCharge too! Talking about the main highlight of the phone – A triple rear camera setup. The Huawei P20 Pro has a primary 40MP RGB sensor with a f/1.8 aperture, a 20MP Monochrome sensor with f/1.6 aperture & an 8MP telephoto lens with 3X optical zoom and f/2.4 aperture. This beast of a combination makes it one of the best smartphones right now to capture photos (As per the reviews, the video recording is not as impressive as the other phones). For the selfie lovers, there is a 24MP front-facing camera with f/2.0 aperture. Some camera features include a maximum ISO of 102,400 and Slow-motion 960fps videos at 720p. Android 8.1 Oreo runs out of the box with the EMUI 8.1 skin on top. The Huawei P20 Pro is IP67 rated & there is no headphone jack. The Huawei P20 Lite is a budget smartphone that features almost the same design as the P20 Pro, but there are some changes. The fingerprint scanner is on the rear, and there is a dual camera setup on the back. The notch is present on the P20 Lite too. Talking about the specifications, the Huawei P20 Lite has a 5.84-inch LCD display with 2280x1080p resolution and an aspect ratio of 19:9. The Kirin 659 processor powers it, and there is 4GB RAM along with 64GB ROM. 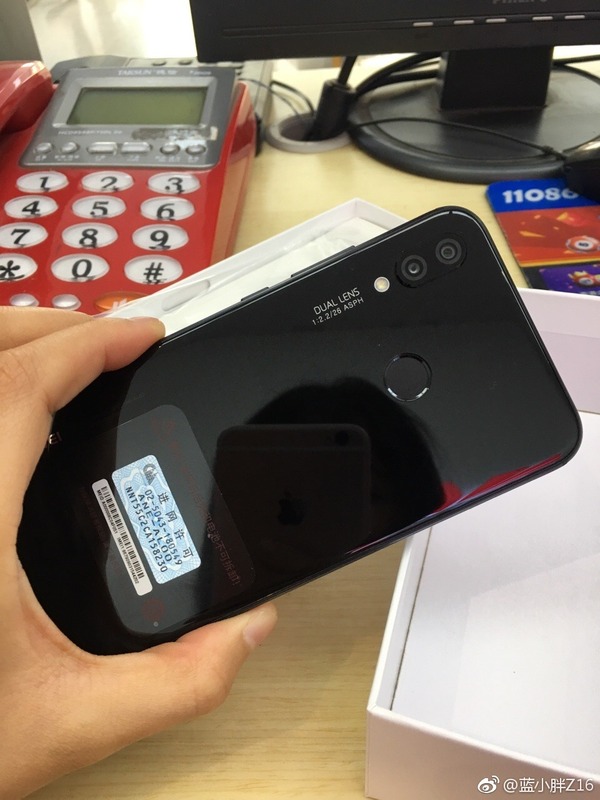 On the rear, there are dual cameras that include a primary 16MP camera and the secondary 2MP camera. On the front, there is a 24MP camera, just like the P20 Pro. The 3,000mAh battery backs all this. 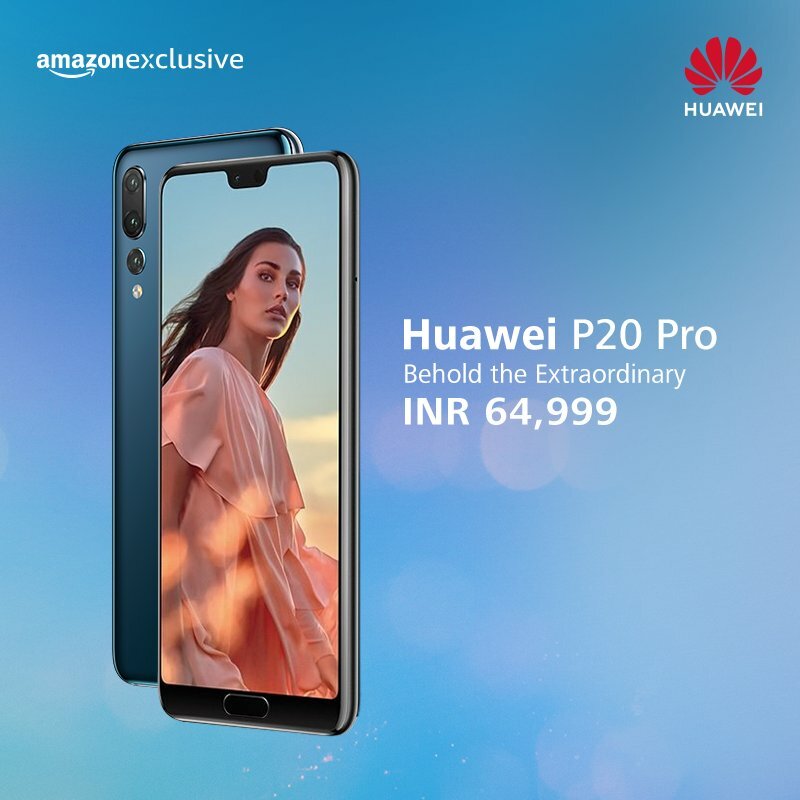 The Huawei P20 Pro and Huawei P20 Lite are Amazon Exclusive in India, and the first sale is happening on May 3. The P20 Pro is priced at Rs. 64,999 while the P20 Lite is priced at Rs. 19,999 in India. The pricing of P20 Lite is good but looks like the P20 Pro is pretty overpriced as phones like Galaxy S9 are available in India at a price under Rs 60K. 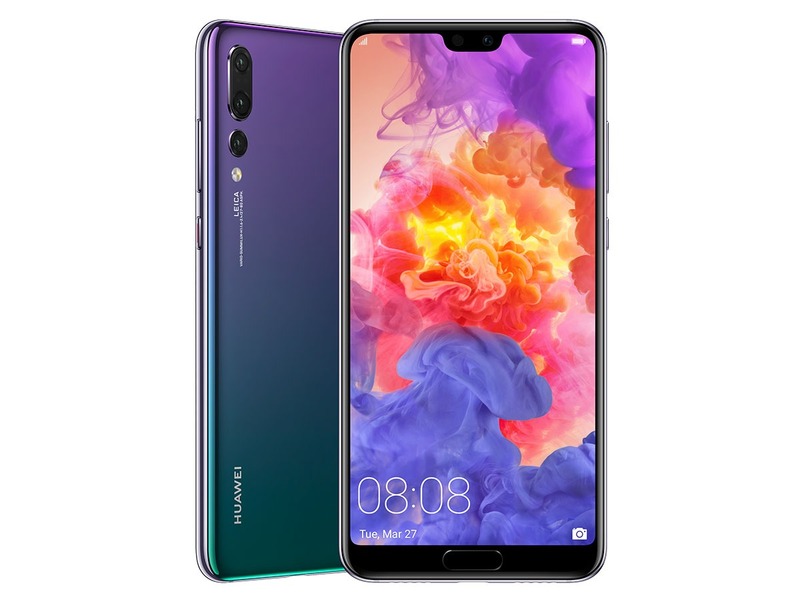 What are your thoughts on this pricing by Huawei? Do let us know via the comments section.